"Leader McCarthy's decision to remove me from committees is a political decision that ignores the truth," King said in a statement released Monday night. "The truth is as follows: One of my quotes in a New York Times story has been completely mischaracterized." How do you ask? It's complicated, but the basic argument goes like this: King and Trip Gabriel, The New York Times Reporter, who wrote the play on King who has caused the whole controversy, spoke for a long time (56 minutes, according to King) and that what the King really did wondered where "Western civilization" became a bad word, not when "white supremacist" or "white nationalist" did. 1; how did this language become offensive? Why did I sit in classes that taught me about our history and the benefits of our civilization?" ] It seems quite clear what he says there – and it is not consistent with his explanation that after a list of allegedly offensive terms, he only referred to the last ("western civilization") when he wondered when it was offensively. In a vacuum you might be willing to give King the benefits of doubt. He paused. He spoke inarticulately. Whatever. Of course, the problem is that King does not live in a vacuum – and not the rest of us. And the same context that King wants us to consider when it comes to his quote to The New York Times, judges his attempt to throw this whole thing into a big misunderstanding. Met with a very right Austrian party and said, "What brings this diversity we do not already have?" Tweeted: "We cannot restore our civilization with the babies of others"  Note a common theme that emerges? The King has repeatedly expressed racist views – and then he said either not to say what he said, he did not know what he was doing, was wrong or yes, he was misquoted. On the house floor Tuesday, King maintained that the quote was taken out of context. "There is no tape to this interview …. The New York Times has a different version of this. They make a habit of attacking the president." Here's the case: If you have a proven track record to say racist things, you're a racist. That is it. Now, I understand why King wants to do all this about how the GOP leadership in Parliament means him and how some New York Times reporters treated him hard. (FYI: Trip Gabriel did not.) Because the alternative is to accept that he has racist views. And it's a hard pill to swallow. The second problem created by King's testimony is that it is very clear that he is not planning to leave Parliament at any time soon. By trying to fight back – against both the media and the Republican leadership – King is trying to gather the Trump base behind him one last time. He tries to throw this whole thing like a liberal – wait for it – witch hunt, and his refusal to look back as a brave (and in principle) opposes political correctness, which is always interference forces. Which means statements like this from Wyoming Rep. Liz Cheney – "I agree with Leader McConnell. I think (king) should find another workgroup" – doesn't really mean much. 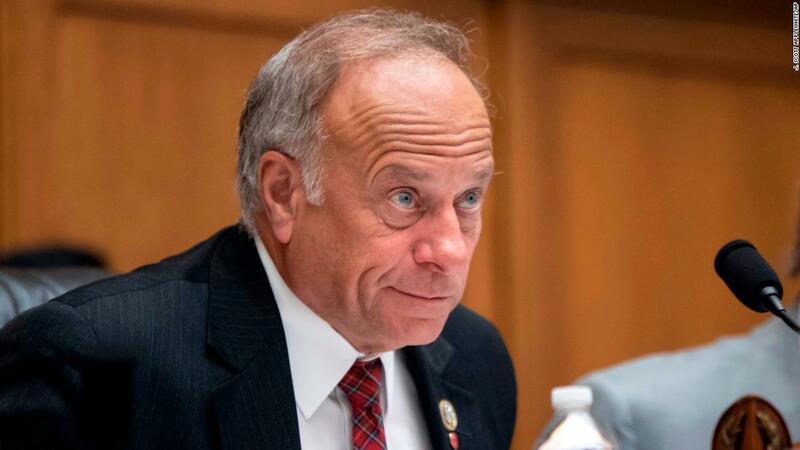 King won – albeit narrowly – in 2018, despite a well-funded opponent who centered the campaign on the series of highly controversial racist statements made by King over the years. The same argument that makes it clear that King carries racist views (he has spit them for years!) Also allows the Republicans to remove him from the office if he does not want to go (he has been spitting racist views For years!) Voters knew at least most of what they got when they chose King last November. His recent comment to The New York Times is simply a (nother) way of saying what he thinks – and has said – for years. It's not new. All this means two things: 1) Steve King is not a kind of misguided race helper (or even someone with something close to the common views on race) and 2) Steve King is likely to be a problem for House Republicans for months.